Pioneering the production of diary and juice products for over three decades. Juhayna Food Industries is a leading Egypt-based manufacturer specialized in the production, processing and packaging of milk, yoghurt, juice and juice concentrate. During the past three decades Juhayna has succeeded in winning the loyalty of consumers who have come to view their wide variety of quality products as trusted household names. Ibn Sina Pharma is an Egyptian Pharmaceutical Distribution company founded in 2001 by Dr. Mohamed Abdel-Gawad, alongside Egyptian investors and a French group (Eurapharma) as a joint-stock company under the name (Ibn Sina Laborex Pharma). In 2006, the Egyptian partner acquired the French shares, creating the fully owned Egyptian Ibn Sina Pharma. 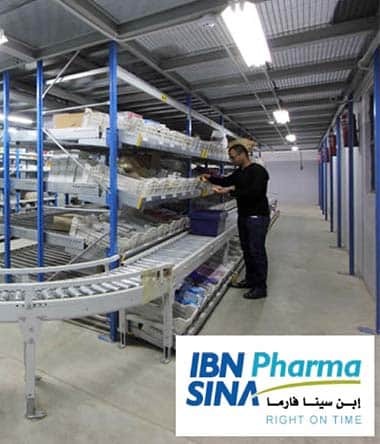 Ibn Sina Pharma has established itself as a leading company in pharmaceutical and Para-pharmaceutical distribution in Egypt, serving retail pharmacies, hospitals and all major healthcare units across the country. Ibn Sina started with one warehouse and now it owns about 40 warehouses. Ibn Sina Pharma operates in the beginning on a small scale, with a few numbers of stock keeping units (SKU). Based on this, LinkMisr selected Carton flow system on Longspan structure & Euro system to be the ideal solution that suits their needs at this time. Ibn Sina Pharma continued growing and expanding and as a result the total number of SKU increased. 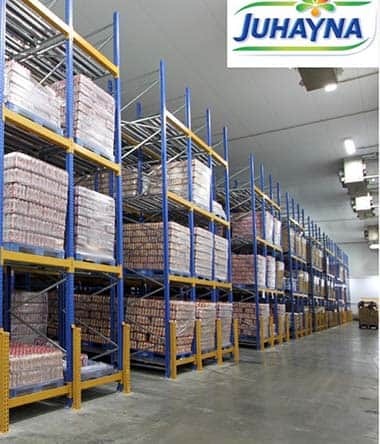 Ibn Sina faced two main challenges, 1st Utilizing warehouse spaces efficiently to afford the increase in the number of SKU’s, 2nd To improve and maintain Order’s preparation time inside the warehouse to keep clients satisfied. 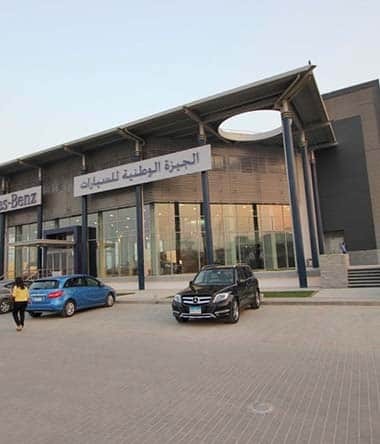 In accordance with its plan for expansion, Giza National Automotive (GNA) – the authorized dealer for Mercedes-Benz in Egypt – erected its largest showroom & maintenance workshop yet, on the Cairo-Alex Desert Road. Located in Pyramids Heights, GNA’s new premises will serve its current and potential clients alike since it embraces all three “S’s”: Sales, Spare Parts, and Service. Among several other companies, Linkmisr participated in GNA tender in order to furnish the new GNA center with shelving and storage solutions. Having proposed the ideal package to meet their requirements as well as that of Mercedes-Benz Egypt, Linkmisr was awarded the contract. Everything from the quality, pricing features, as well as the brand of Linkmisr helped make the decision easy for GNA to place its trust in Linkmisr. GNA put its confidence in LinkMisr which was assigned to provide the appropriate storage installations and shelving solutions. After careful research of the site and profound consideration of the client’s requirements and conditions, Linkmisr went through with the redesigning process. GNA was kept aware of every step along the way in efforts to keep a collaborative approach to the project, finally reaching fully-adaptable shelving ideas to perfectly cater to their nature and fit their purposes. The partnership between Carrefour and LinkMisr extends back to the year 2009. 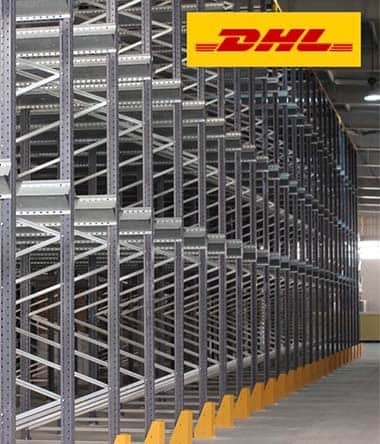 Together, we have successfully furnished their shelving and storage needs in more than 30 hypermarkets in different counties across the Middle East: Saudi Arabia, UAE, Egypt, Oman, and Lebanon. Carrefour’s choice to proceed in such a partnership with LinkMisr was based on a large tendering process. 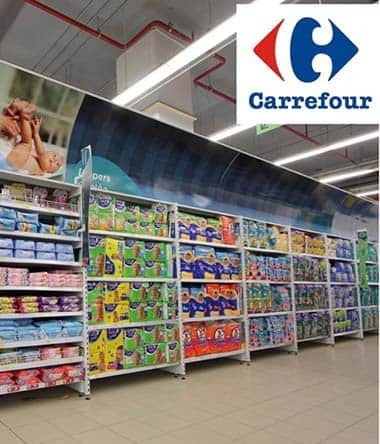 Successfully gaining Carrefour’s trust, LinkMisr was granted the project of designing, manufacturing and installing shelving solutions for all Hypermarket branches included in the tender of each hyper.